Good form and leg strength are key to staying healthy as you tackle descents. Proper downhill running technique and strong quads are important to reducing soreness as you take to the trails. Below, the experts weigh in on how to descend without getting hurt. 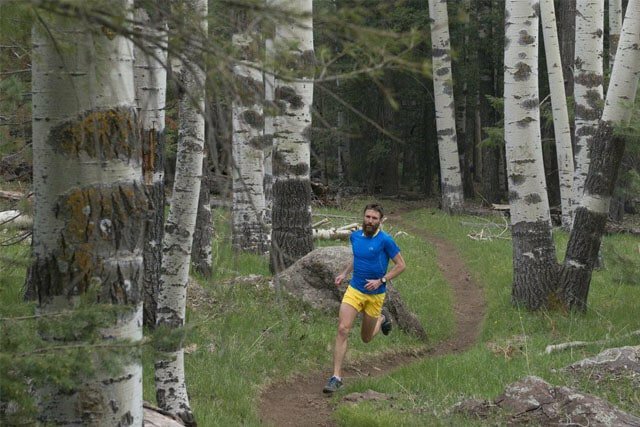 While no single downhill running form is a golden ticket to eliminating soreness, you can focus on a few specific areas, says Rob Krar, the ultra runner with an impressive list of runs. Krar recommends a posture that is perpendicular to the ground, except on the steepest grades. Leaning back and over-striding increases impact, takes away speed, and offers less control. Choose a line that offers the optimum balance between maintaining momentum and minimising the risk of falling. “Think light, quick steps,” Krar says. The goal is to float down the trail. Do some downhill repeats. Start with just two or three repeats and build up gradually – these workouts will be hard on the legs. Being a flat lander is no excuse. Torrence suggests using parking-garage ramps, bridges, and exit ramps to run downhill. “Even the man-made hills on a golf course are better than nothing,” he says. Don’t neglect core strength and flexibility exercises. “The more fit you are, the easier it’ll be to handle the rigors of steep and technical off-road running,” Torrence says.